Here at Cartridge Save we specialise in cheap Canon CLC-1160 toner cartridges, with next day delivery. At some time your Canon CLC-1160 will consume all of your printer toner, and when that happens you'll quickly realise that brand new Canon CLC-1160 toner is often really costly. However, you don't have to waste your time worrying about forking out the high costs you'll discover on the main street because now at Cartridge Save you can find all the Canon CLC 1160 cartridges you'll ever need at very small prices. Start saving money by purchasing online at Cartridge Save! Why pay high prices on a CLC-1160 original cartridge or CLC-1160 compatible toner in the high street when it's simple to save a handful of cash buying with Cartridge Save. You can have complete confidence when ordering CLC1160 toner cartridges from us because every one is covered by a rock solid money back guarantee. Bear in mind that every purchase also has free delivery, typically delivered to your address the next business day! 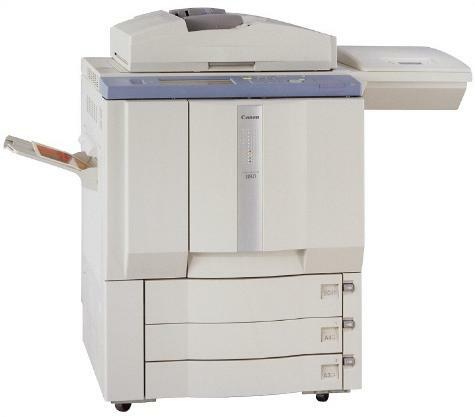 The Canon CLC-1160 is a colour copier and printer in one that uses laser electrostatic transfer system. It has a maximum resolution of 800 x 400 dpi and 256 gradations. This Canon CLC-1160 digital colour printing press can be used for copying not just sheets but also books and even three-dimensional objects of up to 2 kg. This outdated unit has very slow print and copy speed for coloured output. The large Canon CLC-1160 printer weighs 277.5 kg and measures 768 x 774 x 1000 mm. Optional accessories include an automatic document feeder, sorter, document tray, and stapler. With optional items, the maximum paper handling capacity is 4,400 sheets. The Canon CLC1160 colour laser printer can handle different types of media as large as an A3+. Print speed can go as fast as 42 ppm for black and white and 11 ppm for coloured. The Canon CLC 1160 copier printer is very easy to use and operate. It has an organised and helpful control panel. The Canon colour laser copier 1160 can deliver good quality output from crisp text documents to vibrant images plus it offers flexibility on media handling. Low toner costs are an extra bonus for owners of the Canon CLC-1160 digital photocopier because the Canon CLC1160 colour cartridges are priced much more affordably than other laser cartridges on the market. The Canon CLC-1160 colour copier falters in terms of print speed for coloured output, there are new models that can deliver output faster. There are also modern printers that have higher printing and copying resolution than the CLC-1160 laser copier. The Canon CLC1160 colour printer does not come with an ADF, it must be bought separately.